Let’s face it. Eating right is tough enough, which means you definitely don’t need someone asking, “Oh, are you on a DIET or something?” when you go out to eat. I’ve heard it many times, and it can be downright annoying depending on what tone they give you. But living a healthier lifestyle should never feel like deprivation or having to defend your eating decisions. 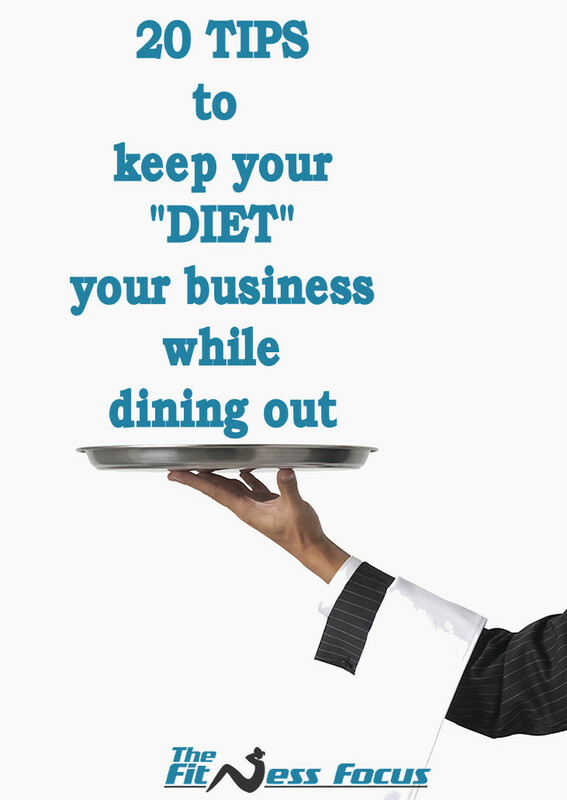 You can still enjoy dining out with friends and family while making overall healthy choices. You do not have to lock yourself in a vegetable-filled room to keep it healthy – it’s just a matter of making smarter choices. 20 Tips to keep your diet from becoming a topic of conversation at the dinner table. #1 Scope out the food selections ahead of time. Look at the menu ahead of time, and if you have the opportunity to choose the restaurant, even better. This will save you a lot of unnecessary time figuring out what you’re going to order and will ensure that you’re constantly moving in the right direction towards your weight loss goals. Plus, many restaurants now list their nutritional value online that you can take a look at ahead of time. Make reservations whenever possible. This cuts down on your wait time, thus leaving you less time to get even more hungry, which often leads to fast eating and overeating. #3 Have a small snack. Have a small snack 1-2 hours before your special evening. This will make you much less likely to want to splurge on starters later on. Pass on the complimentary bread basket. If there’s anything that will easily kill your weight loss efforts and prevent you looking better than ever, it’s those calorie-filled, often refined flour rolls they give you as soon as you sit down. You are easily saving yourself anywhere from 200-500 calories. #5 Say no to alcohol. It’s not just the alcohol that you need to be careful of. Many mixed drinks are loaded with sugars that can add hundreds of extra calories. Avoid alcohol. I know this may be hard if you’re trying to celebrate, but one drink can pack on more than 600 calories – ouch! If you must, opt for a glass of wine (which is still around 280 calories!) that you can trade in for a couple servings of carbs, or order a seltzer with lime or lemon to make it feel like you’re drinking something more fun. Otherwise, stick with good old water with a slice of lemon or unsweetened iced tea. 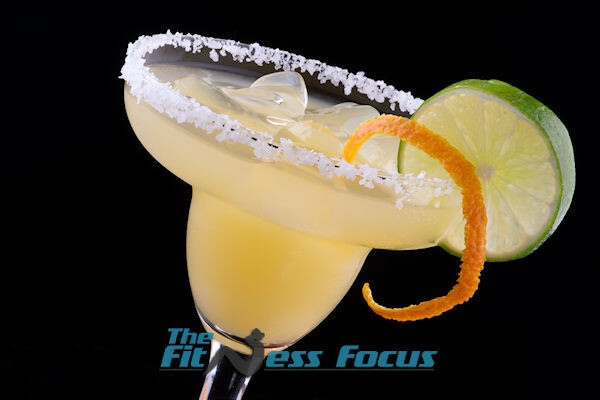 One standard 8oz margarita will cost you about 455 calories, while you can plan on adding in an additional day’s worth of exercise for a 12oz margarita, which is about 680 calories. #6 Have a glass of water before heading out. Drink a glass of water before your meal and continue to drink throughout your meal. If you suffer from frequent heartburn, hold off on drinking during your meal, and instead opt for before and after. This way your digestive food juices will not become diluted. Skip the sugar-laden or artificially sweetened beverages! #7 Have your food cooked the right way. 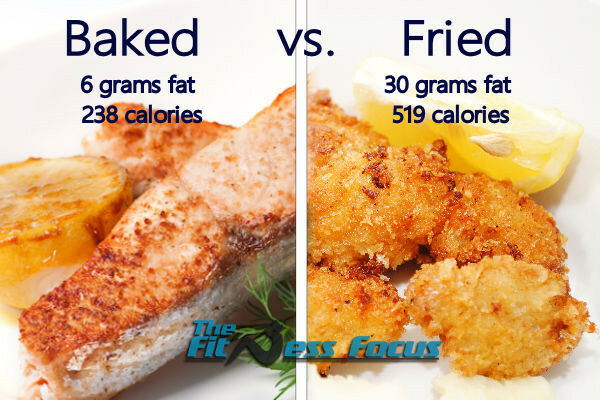 Frying your fish adds about 281 calories and 24 grams of fat for an equal sized portion. Look for entrée options that are baked, broiled, grilled, steamed, poached, roasted, or lightly sautéed. Avoid fried options at all costs. #8 Choose a lean protein. Opt for low fat, high protein options like chicken, fish or top round steak. #9 Avoid cream based sauces. Skip the cream-based sauce dishes or ones with lots of cheese. Opt for tomato-based instead. #10 Have dressing and sauces served on the side. Ask for any sauce, gravy, butter or dressing to be served on the side. This way, you control how much you’re eating. #11 Order the garden salad to start. Order a side salad with oil-based dressing on the side for an extra serving of veggies. Lightly dip each bite into the dressing to add the flavor, but not douse each bite so it’s dripping. Skip the caesar salad. #12 Be selective at the salad bar. While you can enjoy fresh greens and veggies topped with low fat options like garbanzo or pinto beans to your heart’s desire, stay clear of cream-based dressings and fattening toppings like cheese and sandwich meat. Stick to fresh produce and oil-based dressings on the side, reduced fat versions or just tasty fat-free vinegar. Skip the cheese, fruit salad with whipped cream topping, pasta salads, or marinated salad choices – all are loaded with unwanted calories. Avoid all-you-can-eat buffets. If you find yourself at a buffet don’t worry to much, stick to healthy stuff. Just be sure not to overeat, this is a weight loss journey’s worst enemy. #14 Have your side dish steamed or baked. #15 Appetizers can help you feel full. #16 Split your meal in half. Or, have your server pack half your order immediately or share your meal with a friend. Unless you are at a very high end restaurant where you get 7-10 bite-sized courses, you are likely going to get an astronomical serving that only the Hulk should ever be able to finish on his own – we’re talking about 60% more calories than you should have at one sitting. Most restaurants will allow sharing of meals, sometimes with an extra plate charge that is still less than another meal. #17 Chew your food thoroughly. Eat slowly. I know you hear this all the time, but it literally takes about 20 minutes for your stomach to talk to your brain to let you know you’re full, so don’t wolf down your food no matter how delicious! Think of it this way: fast eaters tend to be overeaters, while slow eaters tend to eat less but still feel just as satisfied – and never grossly full. #18 Say no thank you to dessert. Skip the dessert and enjoy coffee instead, or choose your dessert wisely. Fresh fruit, sherbet, gelatin and angel food cake are all better options than ice cream, cheesecakes or pies. And if you feel like you absolutely just cannot, split it with a friend or family member. #19 Stick to lower fat mixers. Use fat-free or low fat (1%) milk instead of fattening creamer in your coffee. Your best bet is to enjoy it black, but if you must, opt for the healthiest option. Also, skip artificial sweeteners and/or sugar. Dining out with the kids for family night? Choose a kid-friendly restaurant that will likely have healthier alternatives in smaller portions available for your children and healthier choices for you. Who says you can;t order of the kids menu too? You are going out to eat hopefully with people that you love to spend time with, You can still be social and enjoy your food while living a healthier lifestyle without anyone batting an eyelash at you. And, no stress for you. What are your dining out tips? Please leave a comment below!